A farrier works on the hoof of a percheron draft horse. hd00:10Farmer clearing yellow carrot via knife at the field of organic farm. Close-up of men's hands in the scene. 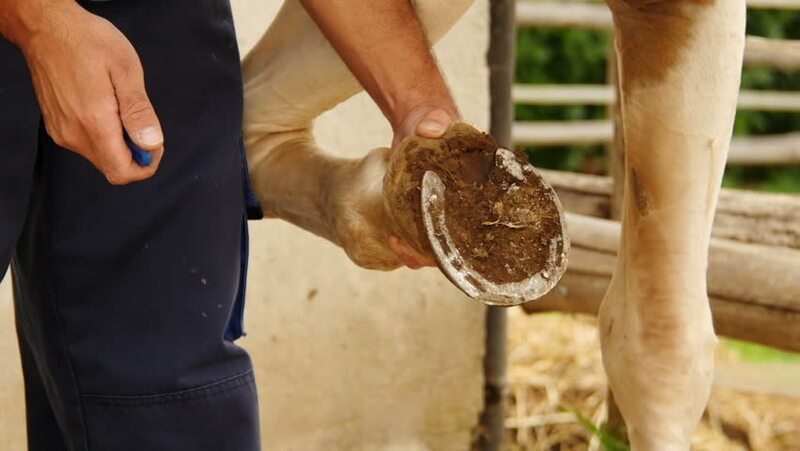 hd00:09Side view of a farrier using a rasp to flatten and level the the sole of a horse with background of hay.